With a myriad of problems facing our planet today it makes a lot of sense to at least help with the recycling and trash separation before it gets into the landfills. With just a little care and attention to where you dispose of your recycling, garden refuse and trash, the world will be a much healthier place to live in. At Green Solutions and More we are able to shred and turn garden refuse into usable compost. Likewise, we supply dumpsters to remove your building waste as well as trash waste. We offer dumpsters of various sizes, depending on your need and space available. 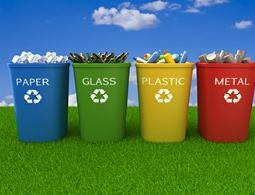 Some commercial and residential renovations can create a lot of waste clean up. If you are not organized with a rental dumpster from the onset you will make your clean up twice as difficult. Initially, it’s always a good idea to remove garden trimmings, trees bushes etc in a separate bin before starting the construction. Green Solutions and More will accept garden trimmings, branches, trees and greens that can be turned into compost for a nominal fee. Having two different dumpsters, one for trash and one for recycling will cut your workload in half when it comes to cleaning up. For commercial renovations we will recommend out largest dumpster to accommodate the length of wooden beams, poles, wiring, flooring etc that has been ripped out of the old property. Some of the wood has usually been chemically painted or treated so it’s a good idea to dispose of it correctly. Keep in mind that hazardous materials, chemicals, paints, electronics, batteries, glass, concrete and asphalt should be kept separate from other recyclable materials so that the don’t go into landfills. If you are aware of making a few changes to your recycling you will make the recycling process more efficient and you will increase the value of what you send to your local facility. So the next time you make that trip to the recycle bin ask yourself if you have made an effort to separate items.